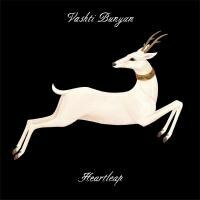 Vashti Bunyan is given the final word on a sporadic yet influential career with the organic swan song Heartleap. "Every day is every day / One foot in front of the other / Learn to fall with the grace of it all / As stones skip across the water." These words comprise the chorus of "Across the Water", the chiming opening song from British songstress Vashti Bunyan’s latest album, Heartleap. Adept at creating myth, Bunyan is more famous for her inconspicuous nature since the release of her debut album, Just Another Diamond Day, in 1970. If one were to count the days since this inaugural missive, they’d be surprised to learn that Bunyan’s canon totals only three albums and a collection of ephemera (2007’s Some Things Just Stick in Your Mind) released in a span of 44 years. Said debut being lauded by Devandra Banhart, Just Another Diamond Day was reissued in 2000, forcing the unassuming Bunyan into the spotlight as the matriarch of the then-cultish folk revival. Having released Heartleap’s predecessor, Lookaftering, in 2005, recording with Animal Collective on the Prospect Hummer EP that same year and making appearances on Banhart and Piano Magic outings, one could consider Bunyan’s recent output prolific. Such collaboration marked Bunyan’s prior releases; produced by Joe Boyd and arranged by Robert Kirby, Just Another Diamond Day ensured the album remains an amber-encased treasure. Lookaftering, under the direction of Max Richter and a cast of supporting artists, was a more communal effort. Taking seven years to write and record Heartleap, Bunyan sought to control its entire process. Recording at her leisure in her home studio and others in Europe and the United States, Bunyan looked to predate her debut with a release that is naked in its approach, the onus squarely resting upon her shoulders. Working in relative solitude, Bunyan was able to eschew the pressures of time to one beholden to studio schedules. Neither able to read or write music, she was afforded freedom to experiment with the sounds that would augment the lyrical trinkets she’d written for Heartleap. Based on tales overheard and people known, Bunyan could stitch together guitar, piano and synthesizer takes, adding instrumentation such as strings on "Across the Water" and "Holy Smoke", saxophone on the lithe "Shell" and flute and dulcitone on the ticking "Here". This process of trial and error is elucidated on the questioning "Gunpowder", where Bunyan confesses “It seems however hard I try / The words that I let fly out of my mouth / Don’t ever say what I want them to say". Not a wholly solo effort, Bunyan again called on Banhart to add vocals to the asthmatic nocturne, "Holy Smoke". Nearing 70, Bunyan maintains a vocal warble that belies her age: the wishful choral piece "Jellyfish" and wispy longing of snippet "Blue Shed" speak to the dreams and desires of one yet to experience the trial of years. As one with such experience, she can evoke detachment as both the observed and observer on standout "The Boy". As if positing her own legacy, Bunyan spryly wonders, "Do I want to be like trees / Who stand round in freezing fog just waiting / For the spring to come to me?" Perhaps answering her own question in claiming this to be her final album, Bunyan has curated a lush musical mobile of soundscapes, one in which the deer that graces the cover art taken from a painting by her daughter, Whyn Lewis, can bound unattended, giving her the final word on a sporadic yet influential career with the organic swan song Heartleap.